VMware NSX-T DataCenter ships with native L2 bridging capability. If you have been running NSX for vSphere and have requirements for L2 Bridging you would be familiar with the software based L2 bridging capability which is part of the functionality of the Distributed Router. 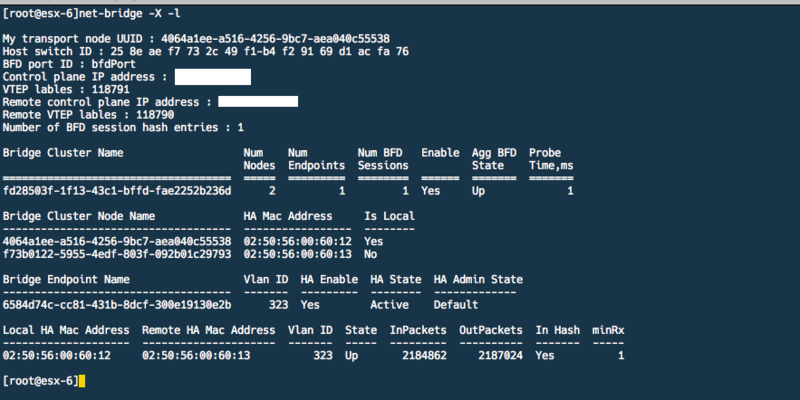 With NSX for vSphere, this feature is provided by the Distributed router. The vSphere host that runs the Distributed router control-VM acts as the bridge instance and performs the bridging function. In this article, we will look at configuring L2 bridging using ESXi host transport nodes. 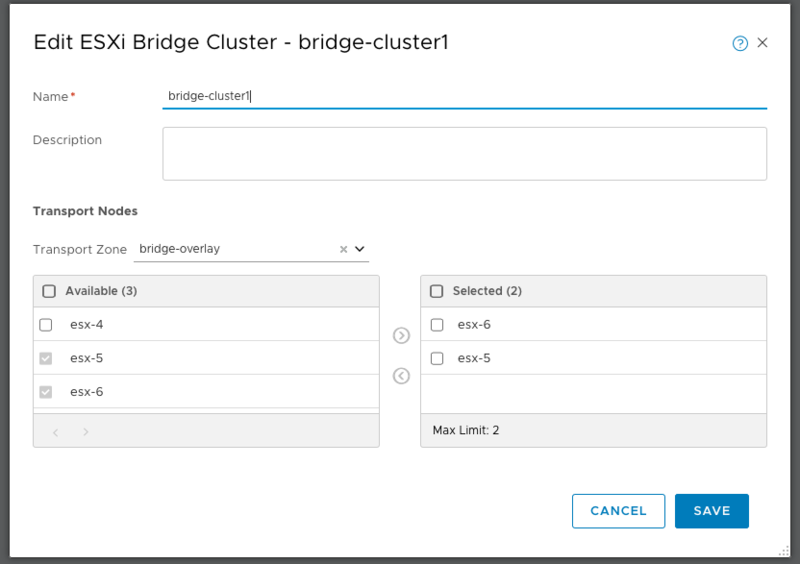 Under Fabric –> Nodes –> ESXi Bridge Clusters. Click Add and select the hosts that will act as a bridge cluster. We can also run “net-bridge -X -l” which will list further information about the configured bridge. In this case, we can validate if BFD is up, state of the bridge, the VLAN ID that is being bridged, the bridge nodes in this bridge cluster and also some stats on the number of packets ingressing/egressing this bridge instance. In summary, NSX-T DataCenter provides the flexibility to bridge overlay networks with VLAN networks if you have the requirement to do so. As bridging is done in software performance is the biggest concern with this solution. To mitigate performance issues the design should look at spreading out the load across multiple bridge instances.